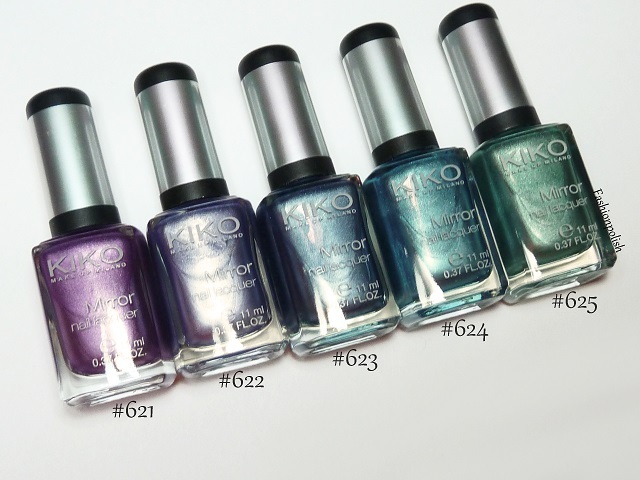 Anyway, I'm back today and I have pics of the latest Kiko collection. After the Sugar Mattes, the Mirrors! 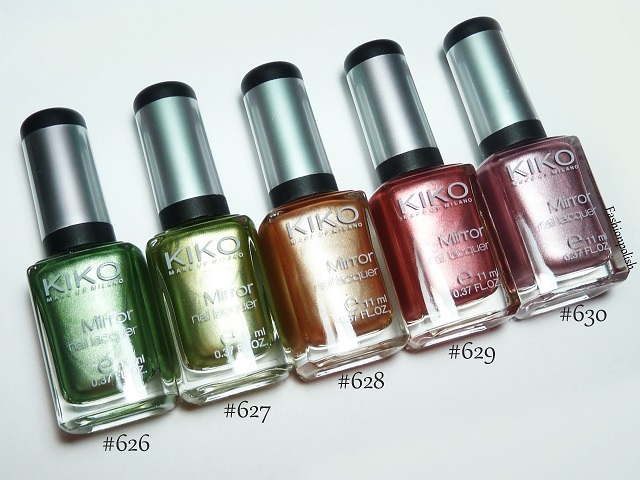 The Kiko Mirror collection consists of 15 metallics. 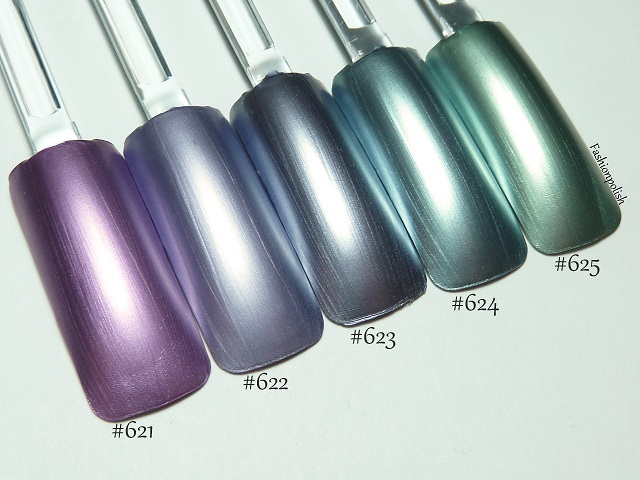 I don't really care for pure metallics as a full mani so I didn't bother swatching them all on my nails. 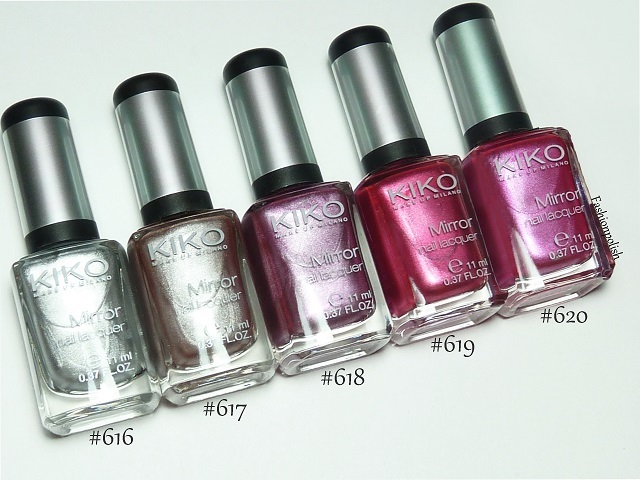 I used one coat of each of these Mirrors in the swatches above and they all dried really fast with minimu brushstrokes. On the nails however it's another story, you'd have to be very careful with application beause they don't dry to a completely smooth finish, unless maybe if you use prep your nails with a shiner buffer beforehand. 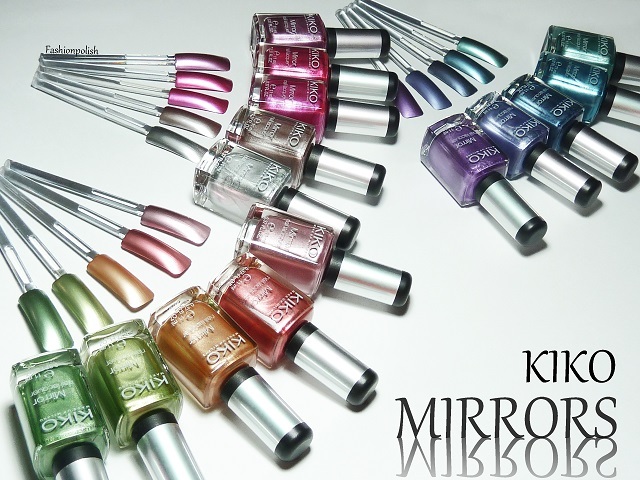 The Kiko Limited Edition Mirror Collection is available online and in stores and retails for £4.90 / 4.90€ each. The ONLY4YOU13 20% off coupon is still valid online and in stores until tomorrow only! 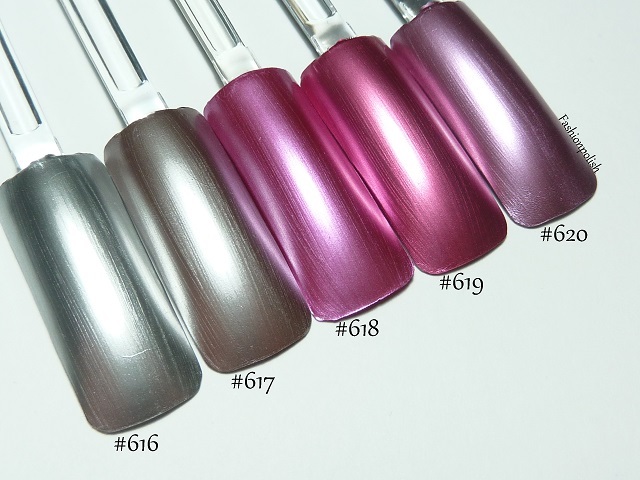 Please check my previous Sugar Mattes post more info on the promo and/or download the coupons. la même je les veux TOUS! je savais pas que tu étais française ? Ou que tu parles français ? hope you already feel better - my body told me the same last sunday! normally I don't take colds that serious (don't have time for being sick) but then my body told me to take a break and therefore got me fever. so much feeling better now!! hope you are all healthy again right now and wish u all the best!! IKR? I can't wait to start playing with them! Actually I agree with you Katherine, I bought these to use for nailart and stamping, as mentioned in the post but I don't think I'd use them on their own. These are all one coat?! Wow they are probably perfect for stamping. They are all gorgeous Sam! The pictures are amazing it's tempting !! Thank you for these lovely pics. I'm impressed by the wide spectrum of colours and individual shades - it makes it quite hard to choose which ones to get though! These look soo nice! 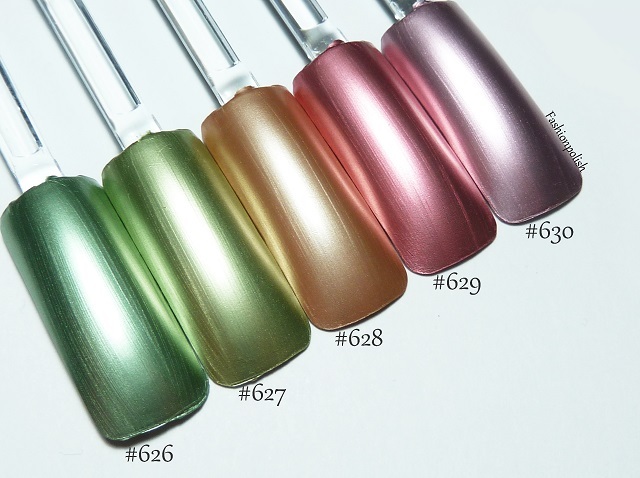 And they seem to have a much better finish than other chromes I've seen. Ohhh I need 626 627!! Though all of these look amazing!